“At the time of prayer, when a person’s mind is collected and all the sense are brought into harmony, an encounter between God and the person praying takes place. This explains why all spiritual gifts and all mystical visions have been given to the saints at the time of prayer. 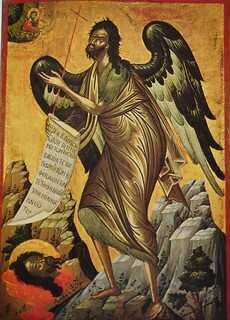 It was during prayer that an angel appeared to Zacharias and announced the conception of John the Baptist, it was during the prayer of the sixth hour that Peter beheld the divine vision; it was while Cornelius the Centurion prayed that an angel appeared to him.